Welcome to Brookhaven Country Preschool where every child’s day is filled with wonder and happiness!! 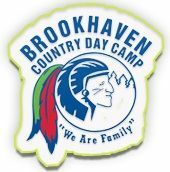 Brookhaven Country Preschool is a state licensed child care center and preschool that prides itself on high standards of educational excellence and commitment to offer all of our children a developmentally appropriate curriculum on a daily basis. The low child-teacher ratio in each of our classrooms encourages the growth and development of each and every child. Through a multi-sensory approach, the children are offered a wide range of experiences that foster their physical, social, emotional and cognitive growth. Our campus is situated on 24 acres of pristine property with numerous playgrounds, and offers the children opportunities to explore the outdoors and foster their developing curiosity of the world around them. Our caring, experienced and dedicated staff work together to instill a love of learning and well- being in each child in our program.